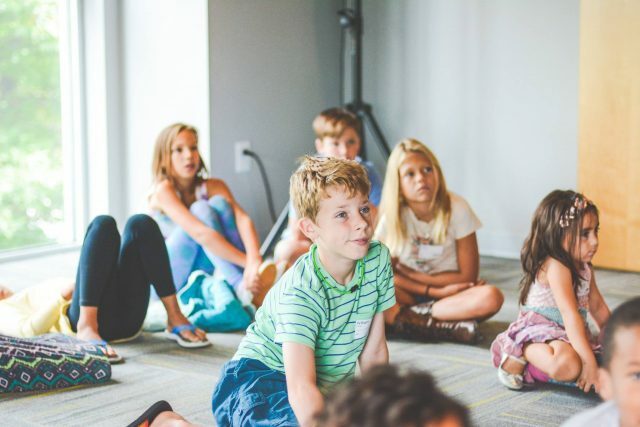 Our goal in our Elementary classes is to provide engaging, age appropriate worship experiences and lessons that help kids build a foundation for a personal relationship with God. Our Elementary aged children kick off their morning with a group worship experience for grades Kindergarten through Fifth grade. After worship, children are split into elementary and preteen groups based on their ages. We have a monthly theme that includes Bible Stories, scripture memory verses, and activities to reinforce the main idea so that daily life application can be a realistic goal for our children.